Backpacks, gym bags, lunch bags, duffel bags, and suitcases. We put them through a lot and sometimes, all that work that they do stinks. Literally. 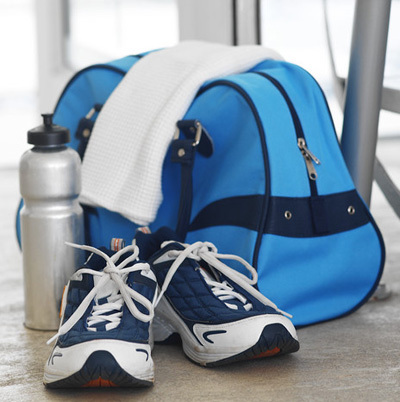 Gym bags can reek off the smell of sweat, and lunch bags and backpacks are often victims of food spills and other workplace hazards. This article will tell you how to remove odours from both the interior and exterior of our bags in order to have them back in proper working order. Your bags take care of you, isn’t it time to take care of them? Whether only the inside, or the outside of the bag in question smells, it is suggested that both be cleaned regularly. Outlined below are suggestions for treating the inside of your bag as well as the outside respectively. The following are suggested methods for effectively cleaning the inside of your smelly bag. Before trying any of these, it is important to clean out the inside of the bag as well as you can. Warm water can be used if you are sure to dry the bag in either direct sunlight, or with a hair dryer. This stuff just plain works! Simply sprinkle a good amount of the white stuff into your bag, seal it close and let it sit for 2-3 days. Once this time has elapsed, clean out the baking soda and feel free to use the bag. We will give you the time to read that heading again. Now let us explain this. Newspaper is surprisingly effective at absorbing odours, as is vanilla. Ball up some of yesterday's newspapers and add a few drops of vanilla extract (a grocery store trip away). Place a few of these in the bags, close the bag and allow to sit for 2-3 days. Remove the newspaper and use your bag. Common rubbing alcohol is a very effective means of removing odours. Simply mix equal parts warm water and rubbing alcohol and place in a spray bottle. Spray the outside of the bag and allow it to dry in the sun. Mix 1 part white vinegar and 3 parts warm water. Add the solution to a spray bottle and spray the outside of your bag. Allow the bag to sun dry and the vinegar should have gone to work.